This High Alpine Lavender Essential Oil from France is of the highest quality and has an absolutely exceptional aroma. High Alpine Lavender is one of our favorite lavender essential oils available. It has that beautiful aroma that only comes from lavender grown at high altitudes. Lavender is the most versatile of essential oils. It is relaxing and refreshing, uplifts the spirits, and helps to relieve the distress of muscle pain. No home should be without it. Lavender essential oil balances your body and mind and is both calming and uplifting. Excellent for refreshing tired muscles, feet and head. Add a drop to the pillow/sheet before peaceful sleep. Treats burns and reduces scarring. Can be used neat in small amounts on burns, but care still needs to be taken. Lavender (Lavandula angustifolia) is now cultivated all over the world, including France, Russia, Bulgaria, the Himalayas and Croatia. Lavender is the most popular and widely used essential oil and for good reason: not only is it remarkably gentle and effective, but also has an almost universally beloved aroma - floral, soft, and herbaceous. This is one of the essential oils that everyone should have on hand. Lavender oil has a long history of use; the name coming from the latin word 'lavere', which means 'to wash', because the Romans added Lavender to their bath water.It is the essential oil made famous by Rene-Maurice Gattefosse, who treated a bad burn with lavender oil. He was intrigued that the burn healed without the usual blistering or scarring, and became interested in the healing power of essential oils. His studies led to the publication of the book Aromatherapie, and also popularized the term "aromatherapy" for the study of essential oils. Lavender essential oil can help relieve headaches, PMS, cramps and muscular aches and pains. It can help relieve sinus and nasal stuffiness and relieve chest congestion. 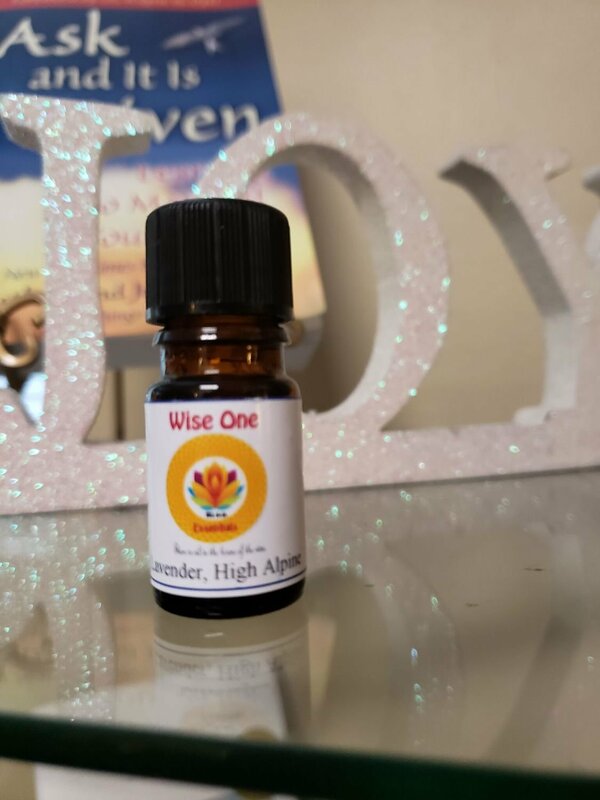 Probably most well known for its ability to reduce stress, relieve anxiety and insomnia, Lavender oil is the number one choice for many when they need calming, grounding and rest. In fact, aromatherapy researchers found, when testing several different oils, that lavender oil was the most effective at relaxing brainwaves and decreasing stress. Here are just a few of Lavender's properties: Analgesic, anticonvulsive, antidepressant, anti-inflammatory, antimicrobial, antirheumatic, antiseptic, antispasmodic, antitussive, antivenomus, carminative, decongestant, deodorant, diuretic, insecticide, nervine, parasiticide, sedative, stimulant, tonic.